Driving direct bookings is one of the main obstacles for the hotel industry. 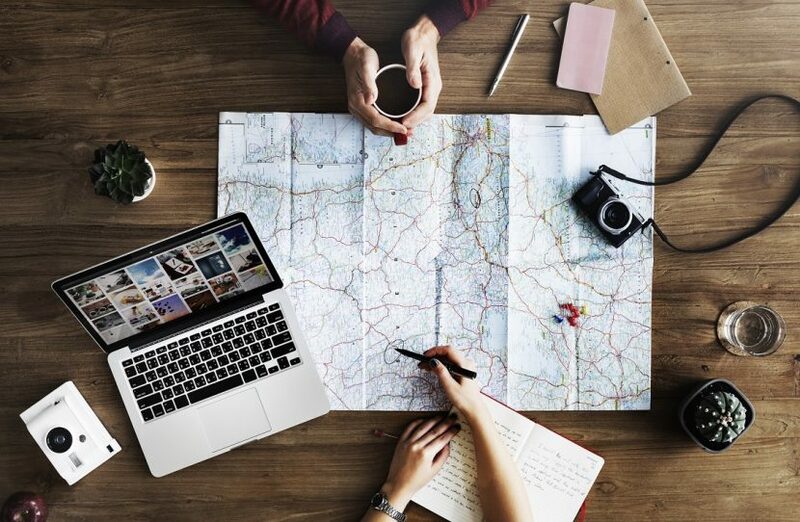 Travelers are seeking smooth organizing and planning for their travel plans, and making bookings at hotels should not seem like a difficult process. In the digital era, travelers rely on making direct bookings online prior to traveling. According to the latest TripBarometer study, 91% of hoteliers perceive direct bookings as being essential for the future of their business. Additionally, according to statisticbrain, every year there are approximately 148.3 million travel bookings made on the internet. This means that there are more and more people making bookings online every day, and it is essential that hotel marketers develop an effective strategy—by creating a website that converts. Conversion rates are considerably influenced by online reviews, a study by TrustYou finds. Positive reviews lead to more bookings and increase in sales, hence it is crucial to maintaining a good online reputation. Part of driving conversion rate is the conversion process itself. For hotels, the main aim is to allow guests to make a direct booking once they are done browsing the hotel website. A booking process should be simple and straightforward. A survey by SaleCycle reveals that 81% of people do not complete online travel bookings. 13% said the checkout process was too complicated and time-consuming, 9% had technical difficulties and 7% had trouble with payment. Moreover, according to Hospitality Times, the average hotel website conversions is 2-3% and around 95% of people neglected the direct booking process before the reservation is made. These further indicates the issue with the direct booking process that travelers are facing and that it still is the main issue that hotels need to solve in order to drive conversions. There are a number of factors that hotels need to include in their website development strategy, in order to increase their conversion rates. Studies conducted by Lindgaard, Fernandes, Dudek and Brown (2006) suggested that the time people take to decide whether a visual content is attractive or not is approximately 50 milliseconds. Similarly, hotel web designers only have 50 milliseconds to make a striking first impression. According to Sojern, the key parts that affect conversion are content, design, and images. Content – design and device friendliness are significant components of a website content. The visual design must be simple yet appealing, informative yet not excessively, and clear quality images are necessary. The booking page must include a clear calendar, for guests to choose their check-in and check-out date. The design must also be tablet and mobile-friendly, meaning it can be accessed effectively not only on a desktop computer but on mobile phones and tablets as well. According to research by Rezdy.com, 30% of direct online bookings are made on mobile devices, and according to statisticbrain, 65% of guests make hotel reservations on the same day on mobile devices. Hence a mobile-friendly content is more likely to drive conversions as more and more people are making bookings online and are often on their mobile devices. SEO – ensuring the hotel website shows up on Google search page is equally important, this can be achieved by boosting Search Engine Optimization, or SEO. According to the google study Mobile Path to Success, people spent 15+ hours a week doing research online on their mobile phones before making any purchase decision, the majority of their research starts with a search engine, and approximately 74% are using a search engine. This indicates people’s current mobile habits, which means, a search engine is what people would use first at the start of their shopping process, and travel bookings are not an exception. In order for a website to appear on Google search page, the content on the website must be SEO-optimized. According to google, the best ways to boost SEO is by including relevant and most searched phrases on the hotel website — phrases that the guests are most likely to search for on search engines, inserting other links and creating new content from time to time. By including relevant phrases it increases the chance of the website to appear on the search results page, however, it is important to bear in mind that the guests are a priority, rather than search engines. Content should be constructed in a way that it meets guests’ needs, yet still easily recognized by search engines. Creating refreshing new content indicates the website is active and involved, rather than unresponsive, and it helps in boosting SEO. Including other links will also be helpful in allowing guests to view a specific feature, as well as in boosting SEO, for example, hotels can include hyperlinks regarding “nearby attractions”, which will direct guests to the attraction’s website itself. Social Media – social media is an important promotion tool for modern businesses. Research by Rezdy.com finds that 82% of customers have a higher level of trust towards companies that use social media. Social media helps businesses in marketing content and drive traffic to the website. For instance, today, major hotel brands are posting and promoting their content on Instagram, by posting new content regularly, directly engaging with guests and reposting guests’ content. As mentioned before, posting new fresh content every now and then is essential in boosting SEO, additionally, it is also helpful in driving traffic and to indicate a steady online presence and activity. Furthermore, TripAdvisor hotel reviews can also be utilized as social media tools. The majority of travelers rely on TripAdvisor reviews before making hotel reservations. According to TripAdvisor report, 77% of travelers typically or always refer to TripAdvisor reviews before selecting a hotel. Hence positive TripAdvisor reviews are useful in driving traffic and increase conversion. Whether or not a website is able to drive conversion rate is mainly determined by its content. Hotels should pay attention to close details and ensure that the information on the website is simple and straightforward and that the booking process is smooth and uncomplicated. Content must also be SEO-optimized to increase the chance of being discovered on search engine results page. Social media can also be used to promote content and drive traffic to the main website in order to drive conversion. Nonetheless, content must be designed primarily to meet the needs of customers, to make it convenient and easy for them to make reservations.